I unashamedly admit to a guilty pleasure. I've enjoyed this pleasure since the early 1990s. It's a British soap titled "The Eastenders". 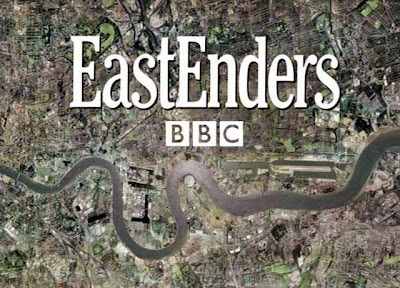 I've missed months at a time, but always came back to Walford, The Queen Vic, the Mitchells, the Fowlers, Frank, Pat, Bianca, etc. I wish that the earliest shows were available. Here in Colorado we've been watching episodes that are about 7 years old. Alfie's grandmother is starting to get confused, Gary and Lynn are at odds over Bobby, etc. etc. Every Sunday night on PBS I've been watching the two episodes. However, last night it was announced that it was no longer going to be on their schedule. I'm not happy about that at all. To make matters worse, they are going to show 40 episodes (20 hours) of shows on Sunday, December 26th, and I'm going to be out of town, (channel 12 PBS in Denver). That's where the bartering comes in. If anyone is willing to record (DVD or VHS, although DVD would be best) the full day of shows, all 40 episodes......I'll trade you for a ball of 100% qiviut in either chocolate brown or rust. Value: $90.80. If you're interested, email me as soon as possible as I'm leaving on vacation in the wee hours of tomorrow/Wednesday morning.